Then I spotted a scarf on a mannequin in the window of River Island and snapped it up. I love the fact it has three block colours so will go with lots of different outfits plus it’s soft and snuggly, just what I need when the weather turns chilly. Do you tend to stick to certain colours / items of clothing? 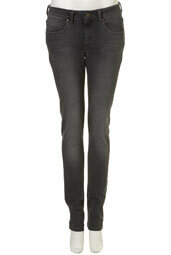 I’m a black / grey / green / brown / red / cream girl myself along with many pairs of jeans, my newest addition was a pair of beige cords which remind me of the seventies! Nice scarf though and I love those burgundy jeans! I do love all the new russets that are in fashion this year – so much so I’m spoilt for choice! That’s a good colour palette! I like cords! I need to do that more! YES to colored jeans! 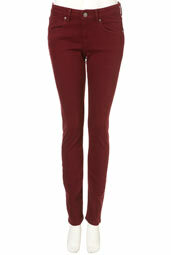 Oddly enough, my sister bought a pair of red jeans this weekend and I couldn’t get over how fabulous they are! I don’t know that I’d dare colored jeans…but that scarf is lovely!! I bet you could carry them off! Gap’s got some nice cardies in! I am SO timid when it comes to colors in clothing. I am the black/gray/white/khaki girl most of the time! Aw thanks! Yeah I usually wear boots or wear ballet pumps or loafers. Haha yeah me too, we can do it! First of all I need to say that I love Nando’s! I’d probably hate getting clothes as a gift I’m not good with surprises! But it’s good it gets you to experiment! I love basic black (head to toe) when it’s cool out. In the summer, I like tropical colors ~ green, yellow, pink, turquoise, etc. 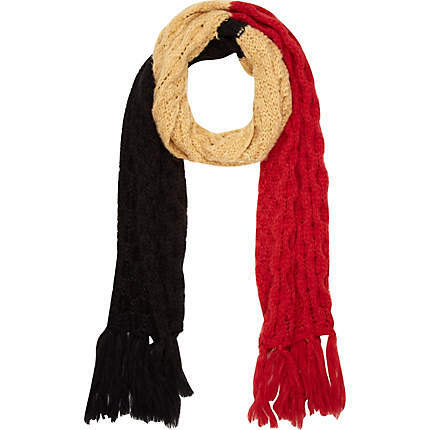 Scarf looks FAB. Enjoy the brighter jeans. Ooh tropical colours is cool. Thanks! Before I moved to Los Angeles for law school, I wore almost exclusively black, brown and white, excepting on game days. I think the color craziness now is making up for all of that then! Haha a blue phase I like it! Keep the colours up I say! Blue jeans, girl, I live in my blue jeans! LOL. But I did get some different styles. I have my go to skinny jeans I throw on with cowboy boots and I have a pair that looks like tweed fabric and I match that with my fall sweaters. I love fall and cozy sweaters. I just hate knowing winter is around the corner. Ooh I’d like cowboy boots!